Some of the most interesting uses of UAS deployment in science and conservation are terrain mapping and vegetation analysis. Data capture for mapping or vegetation analysis can be done by multirotor or fixed-wing methods, with the former a good choice for smaller areas that can be covered in less than 20 minutes and the latter better for bigger landscapes that may require up to an hour of flight time (or more). The photogrammetry software to perform this work is rapidly evolving but at this time the best options carry a rather stunning range of pricing. Tools include both desktop processing and server-farm processing approaches. 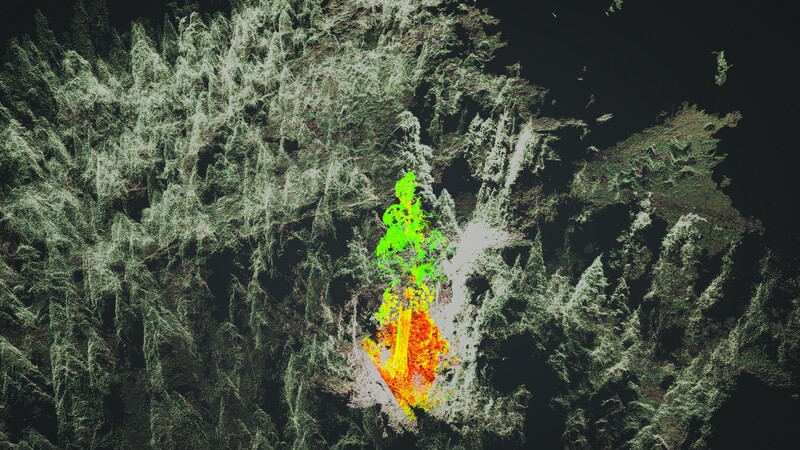 Sequoia Imagery by Dr. Todd Dawson, Canopy Ecologist, and Pix4D. This is a realm of remote sensing that I am now exploring. The UAS that I use include the DJI Inspire 1 and DJI Mavic Pro multirotors and the Finwing Penguin fixed-wing aircraft. I have also just about finished building an X-UAV Clouds fixed-wing aircraft with twin engines and a very large battery bay that will allow well over an hour of mission time. I retired my Lumenier QAV540G and QAV400G multirotors because the DJI UASs have eclipsed my homebuilt ships and the new machines are at the cutting edge of prosumer drone technology. Missions, be they multirotor deployments or airplane deployments, are almost completely automated. The UAS flies a grid around the point or area of interest, taking overlapping photographs at a set altitude. The multirotor route is generally easier as the flight controller software is highly integrated into the package and most include flight patterns suitable for mapping. Fixed-wing work is generally done with the Pixhawk flight controller that requires a higher level of end-user integration that typically includes a PC-driven groundstation and specialized antennae. But either way, the aircraft will fly the mission and return to home if you loaded a solid mission plan. Then you take all of your imagery (typically hundreds of photographs) and start the post-processing. Imagery by Dr. Todd Dawson, Canopy Ecologist, and Pix4D. Post-processing is where the real challenge arises. The photographic dataset from the flight has to be georeferenced through the creation of a 3D point cloud, and then the photos are stitched together and “stretched” over the point cloud frame. The output is a 3D rotating image that is similar to but better than the transformable 2D (and mock 3D) effect of Google Earth Pro. The post-processing software is pretty expensive for non-institutional users like myself. No land trust is going to spend $7000 for 3D modeling software like Pix4D, the world standard. There are less expensive alternatives but there is compromise, obviously. You have to explore the options to see what matches your end use. 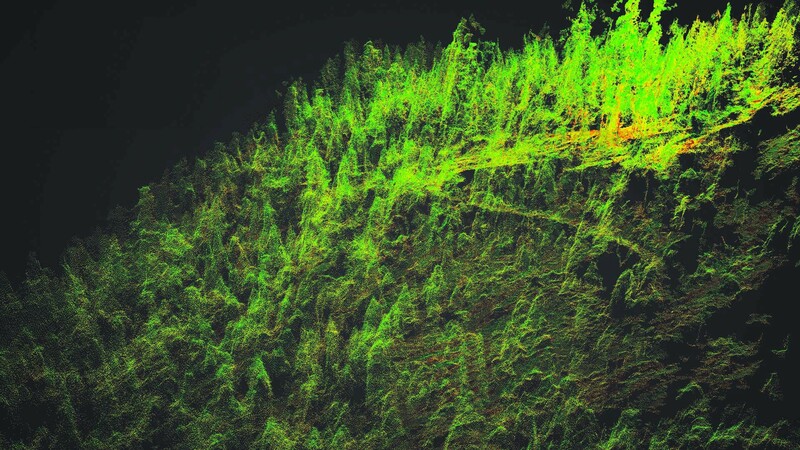 The stunning 3D map images in this article are from a Pix4D-Parrot collaborative headed by Dr. Todd Dawson, Canopy Ecologist, UC Berkeley that is studying Normalized Difference Vegetation Indicies (NDVI) in ancient sequoia trees (see https://pix4d.com/3d-ndvi/ for project info and https://ib.berkeley.edu/people/faculty/dawsont for Dr. Dawson’s lab).